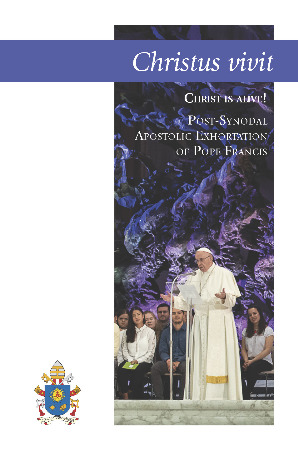 In this Post-Synodal Apostolic Exhortation, published by the Holy See on April 2, 2019, Pope Francis addresses young people specifically, together with all the Church. “Inspired by the wealth of reflections and conversations that emerged from” the Synod of Bishops on Young People, Faith and Vocational Discernment held in 2018, the Holy Father has included those proposals that he “considered most significant” (n. 4). The document is organized in nine chapters and deals with difficult issues such as migrants and abuse, but also focuses on the important themes of youth ministry, vocation, and discernment.